Don’t ever feel you must use fancy or difficult vocabulary in academic writing. It's not necessary, or even good, to use the most uncommon vocabulary you know when writing in university or professional settings. Common words work very well in academic writing as long as they express your ideas clearly. In fact, on exams testing your knowledge of English (the IELTS or TOEFL), you will LOSE points for misusing fancy academic vocabulary—so only use words you understand well. The value of “academic” vocabulary is that it often is more precise (exact) than related common words. In addition, one academic word can sometimes express a thought that would otherwise require a whole phrase. For example, “Scientists attribute global warming to an increase in greenhouse gasses.” Instead of using ‘attribute’ I could write “Scientists think that global warming is caused by an increase in greenhouse gasses.” It takes five words (think that, is caused by) to replace two (attribute... to). The conclusion restates the opening thought: “No one could have predicted all the consequences that followed from Hitler's hatred of the Jews...” I could have written, “No one could have guessed in advance all the results of Hitler's hatred...” That paraphrase does express the same idea, but I think it is less powerful. I hope you can see that academic vocabulary can be useful if you use it correctly. Many academic words are more specific than related general words. They can express your thought more precisely—IF you understand their exact meanings. The best way to learn them is, as always, to read a lot and notice how they are used when you see them. 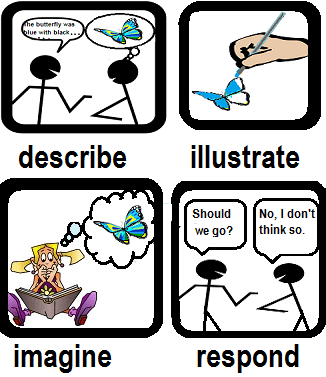 One set of words is especially important in academic writing: Transition Words. Be sure you know how to use these, and the differences between them.